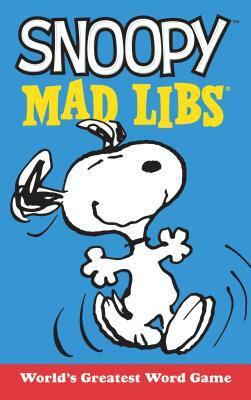 Everyone's favorite pet beagle is now the star of a Mad Libs, featuring 21 original stories all about him! Did you know that Snoopy first appeared NUMBER years ago? And that creator Charles Schulz based his iconic and adorable design after his own pet, named PERSON IN THE ROOM? Join this fan-favorite character on 21 original adventures--fly along with Joe Cool on his NOUN, go walking with Charlie COLOR, and even VERB on top of Schroeder's piano! Laura Macchiarola is a children's book author living in New Jersey.